It’s been a minute…or more like an hour since I’ve taken time to write on here. So much a d nothing at all has happened since I was last here. I guess I haven’t had much to say, actually I still don’t have much to say, but I don’t want to forget about my blog here. One thing that I will say is that I’ve been blessed along with my family. We’ve faced some storms with my step-dad and his health over the past year and time after time THE LORD has showed up and showed out. I can’t say enough how greatful I am for that. I started writing again which I often get super excited about in the beginning and then it fades out. I want to keep that excitement throughout the entire process. I’m going to do better and stay on top of my blog moving forward. Should be interesting! I was laying in bed the other night, awake with my thoughts per usual and a poem came to me. Let me first say I am far from a poet, but isn’t that what poetry is…a bunch of thoughts put together? Or I should say feels put on paper? My initial thought after I quickly typed it into my notes was that I couldn’t put this on my blog because it was personal, but hey why not…. I’m ready for my Prince Charming to come sit on his throne. But the question is, where could he be? So why all this strife. “Falling hard never felt so good. From the first paragraph of this book I knew I would enjoy the story. It is always refreshing to read a well written story and Jennifer Comeaux did just that with Crossing the Ice. The characters are well developed and as the reader, we are immediately introduced to the character of Courtney and soon after, Josh. 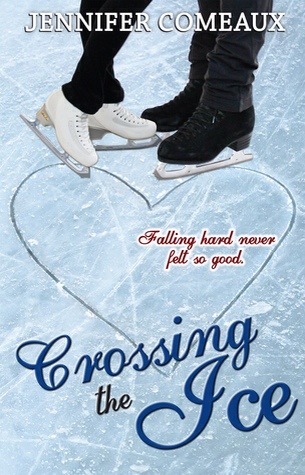 Courtney is focused on her skating and picking up the pieces of a failed relationship, and Josh, along with his sister, are on a journey to the Olympics, which pits him against Courtney. I do not know much about figure skating, except that I can watch it every four years during the Winter Olympics and that Meryl and Charlie are the reigning champions for pairs. Oh wait….I also watched The Cutting Edge numerous times in the 90s, so I know what a toe pick is. Does that make me knowledgable enough? Probably not, but Comeaux has plenty of knowledge on the sport and she draws a beautiful picture of this sport in her book. I could picture the routines and hear the music, and when it was competition time I was right there in the rink with Courtney feeling all of her nervousness, excitement, and insecurities. I love the relationship between Courtney and Josh and could not wait to find out what happened to them and their relationship. Relationships on their own are hard enough, but add in being on opposite ends of a competitive sports, partners and siblings who disapprove of any type of interactions, and then an impending separation, how will this relationship work. Through all the difficulties of training for the Olympics and various competitions the two fall for each other and we sit on the edge of our seats and bite our nails waiting to see what happens. This is a whirlwind story full of angst and excitement that kept me enthralled from the first view of the ice until the final page. Big kudos to Jennifer Comeaux on writing a great story that anyone can read and enjoy. 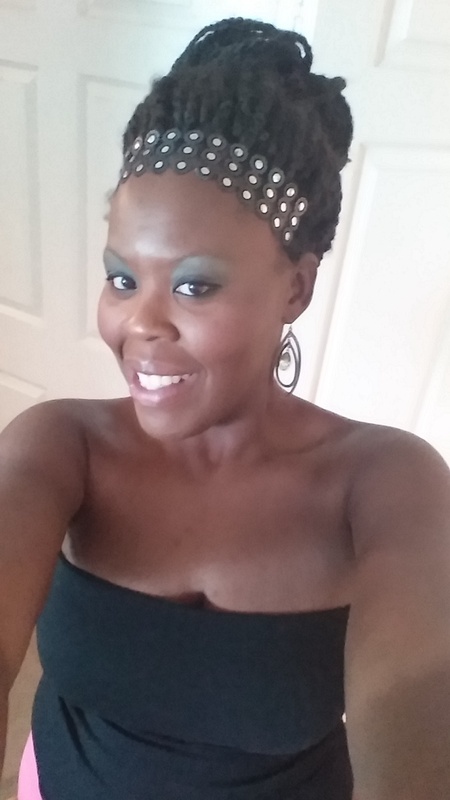 Good day everyone, my name is Tia and I’ve decided to start blogging. A little about me…I have a degree that says I know how to write (Creative Writing degree), but I haven’t put my skills to work in awhile. What I have been doing is reading, quite a bit, lately and I believe this is a cool platform to review books as well as share my thoughts with the world wide web. There are so many great authors out there who get lost in the shuffle, and various blogs bring attention to these writers…and when I get ready to share my work I also have a place to do that as well. I appreciate anyone who has taken the time to read this, and see you soon with book reviews.